Today I am sharing another card for the Global Design Project, I really enjoyed the challenge last week and I think I shall be playing along more regularly. This weeks challenge is a colour combo which I think work great together! However any shade of orange is definitely not my go to colour so this was the perfect challenge to get me working outside my comfort zone. If you’d like to play along you can visit the Global Design Project HERE and add you card to the link on their blog. As soon as I saw these colours I knew I was going to use the Bermuda Bay sequin trim! It was just a matter of then figuring out the rest of the card which took me quite a few attempts!? I had originally been trying to use the leaves from the Grateful Bunch stamp set in each of the corners but it wasn’t looking as I had imagined it so I then decided on using my ‘it goes on anything stamp set’ Gorgeous Grunge. Supply list: If you would you like to purchase any of the products used you can follow the product links to take you to my online shop 24/7. By the Way: your blog is awesome, too! Emma, what a wonderful card! I love how you layered the flowers – and this wonderful sentiment is always amazing. Beautiful card. Thank you so much for playing along with this weeks GDP color challenge. Beautiful card Emma – Love how you have used the colours. 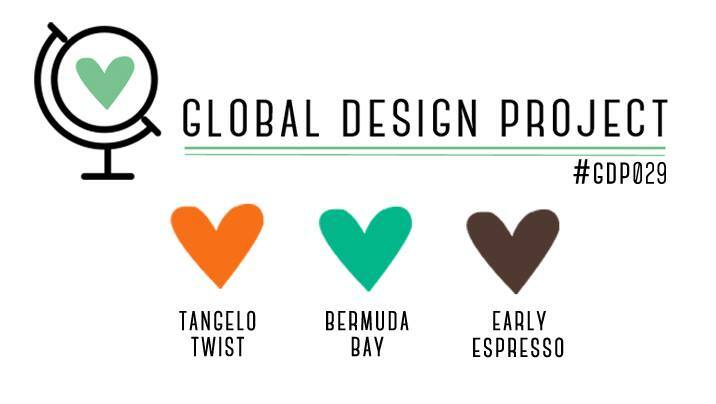 Thank you so much for playing along with this week’s Global Design Project challenge! Make sure you pin your project to the official Global Design Team Pinterest Board. I am enjoying the challenge/s. I have not busted out the dazzling details in ages! You have inspired me! Thank-you for playing along with the Global Design Project!